How It’s New York: Mike Rafferty lived in NJ and played with so many here in the Tri-State area. A Branch of the CCE is named for him and Joe Madden in Bogota, NJ. 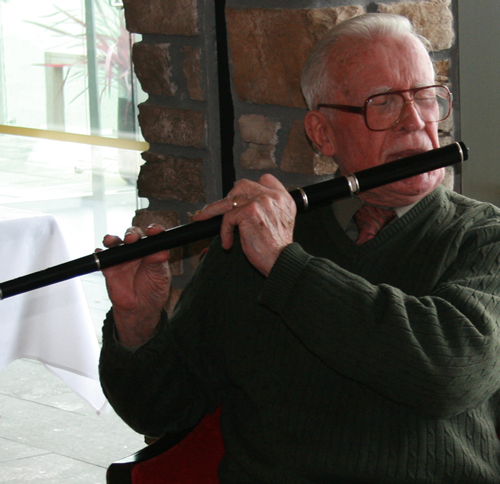 How It’s Irish: Mike hailed from East Galway, and Claire Keville’s radio tribute to him is on Clare FM. Mike Rafferty’s daughter Mary Clancy sent along this news. Isn’t it great that we can listen to radio anywhere now? Claire Keville is dedicating her radio program on Clare FM Mike Rafferty onTuesday, October 11. Her show airs from 7:00pm-9:00pm Irish Time, so those of you on the East Coast hopefully can listen live on the internet at 2:00pm. While you listen, you might want to reread Mick Moloney’s lovely essay about the Mighty Raff which we reprinted here when he died Sept. 13. The link above is http://www.clare.fm/shows/west-wind-tues in case you can’t click live or need to print this out.